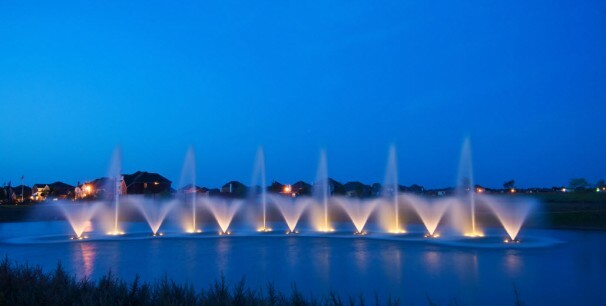 We were founded in 2001 as a company to deliver high quality pond products with outstanding service. We manufacture two of our preventative products and are distributors for a number of different companies. We study ponds to determine the best design options and proactive management practices. Accordingly, we require our clients to have a written management plan for their ponds. Our first step, toward working together, is to prepare the plan for your pond. We work with our clients in a professional, respectful manner based on our company’s core values. Have the potential client complete the data gather form in the Contact Us section of this website. Click here to go directly to this form. Review data gather form and contact the potential client to schedule a conference to discuss the information, in order to gain an understanding of the situation. Discuss development of five-year pond prescription. Discuss fee to complete water chemistry analysis, hydrology survey, and quantitative review – the background data necessary for the development of the management plan. Please click here for a listing of pond prescription services and related fees. Develop a written prescription for the pond. Review the written prescription with the potential client. If we agree to do business together, have the client sign our Implementation Agreement. Click here to go directly to this form. Ship, or deliver, products necessary to implement the pond prescription. Train client, as needed, related to the management plan implementation. Install and apply products, as needed, per the plan. Be readily available for questions and future site visits, as necessary. Review progress of the plan. All prescriptions are formally reviewed every five years; all parameters are measured and compared to the prior prescription data. A new plan is written, based on this report card. The use of our prescription process assures our clients that the recommended solution matches the real need by dealing with the cause of the problem, or potential problem. The very detailed process is the equivalent of having a doctor complete blood work and review your health history before recommending a solution to the symptom you are experiencing. Would you take a pill from a doctor who didn’t take the time to understand your condition? In short, we want our clients to invest their money wisely into a solution that will work. With the pond prescription process, we are confident there is not a pond problem that cannot be fixed! 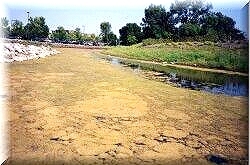 Typical example of a pond that has excess nutrients and has become overgrown with algae. 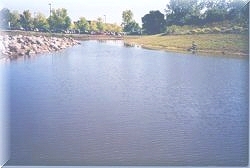 Same pond after following our prescription process.